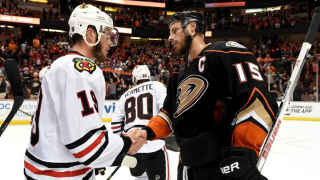 Chicago Blackhawks captain, Jonathan Toews Is taking a little bit of heat for saying that the Anaheim Ducks were the Blackhawks’ toughest opponent and not the team from Tampa. “No disrespect to Tampa because I think they far exceeded our expectations for what they were able to do and how difficult they made things on us,” Toews said, according to the Associated Press. I would have to agree completely with Toews on this one. In recent years, the Western Conference has been a better conference by a wide margin. 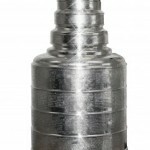 Even before the Stanley Cup final began I said a team from the West would reign victorious. The Anaheim Ducks were a team built to win the cup. Tampa Bay was to most hockey fans the surprise of the playoffs. Yes, each game in the final was extremely tight. However, Tampa Bay did tend to sit back and squandered some opportunities as a result. The Anaheim, Chicago Matchup of 2015 will go down in my memory of one of the most exciting series I have ever witnessed. These are two teams that have the ability to score goals in addition to playing outstanding defense with a physical element that was absent in the Tampa Bay series. In an amusing bit of scheduling, the Blackhawks’ first games against those two opponents are consecutive contests at United Center, as they host the Lightning on Oct. 24 and the Ducks on Oct. 26. Maybe the 2015-16 versions of these teams will make a different sort of impression on Toews? The experience the Tampa Bay Lightning gained from a lengthy playoff run should help them understand what they were missing their game to get to the next level. I don’t think Towes is calling Tampa a bad team… I think we all know Anaheim was the most likely team to derail Chicago. Let’s face it, Anaheim made some key player additions at the start of last off-season for the sole purpose of completing with the Blackhawks.